Do you feel a sense of plateau, as if you should be doing something but you’re not sure what? You may even feel like there is an impending event and you are waiting around for it to happen. Some people are experiencing a sense of internal restlessness running through their energy system. The elements are almost but not quite in place for a change in your life. It can be a frustrating time. What shall we do until Life feels like it has gained the momentum to move forward again? There is a suggestion from astrologers and others that after the Equinox there will be more forward movement. For me while I wait, there is only one thing that I can do, and that is a dedicated Spiritual Practice. This is a powerful, time-honored way of creating a positive energy within me while I surrender to the flow of Divine Creation. Obviously if we could do it differently we would. It is just not obvious what is an appropriate step at a time like this. When I put the excess restless energy into doing mantras, affirmations and prayers; when I do conscious breathing exercises; when I create a list of clear outcomes even if they are only feelings without forms, these raise the vibration of my energy system. They fill the empty space with high frequencies, and calm down the restlessness that has pervaded my nervous system. Spiritual practice is a powerful tonic that can open doorways to new inspiration. It connects us to our most Divine, Eternal Self and allows our intuition to blossom. Even if it is not obvious right away, these powerful activities can become a catalyst for positive change. Using a spiritual practice is a surprisingly simple yet powerful tool for new energy to take root in your life. Because of my background, Sanskrit mantras are my choice for spiritual practice. With the popularity of Hatha Yoga, more people have been exposed to Sanskrit words and phrases that add new energy to many a life that has felt flat. Change Your Life in 12 Minutes. …especially if I told you the intervention takes 12 minutes out of your 1440-minute day. 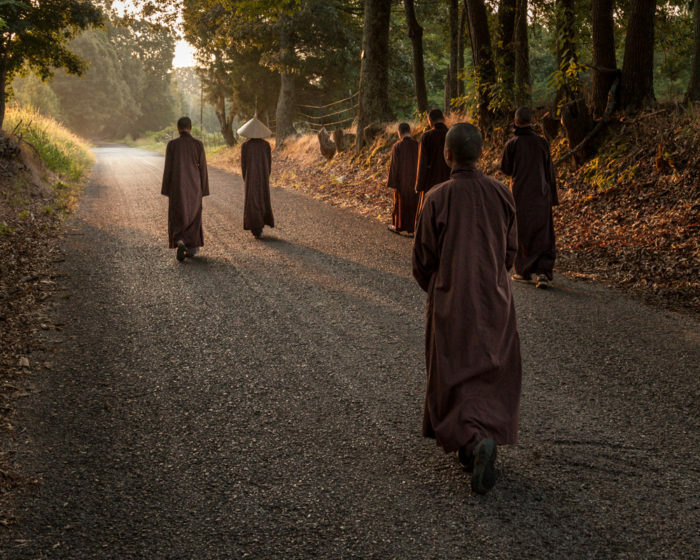 For centuries, Eastern spiritual traditions have recommended people live together in spiritual communities to assist in their evolution and consciousness. These communities provide the best opportunity to focus busy minds on spiritual goals and keep inner aspirations alive. In a way temples, churches and pilgrim centers serve the same purpose. They bring together people of various backgrounds and help them strengthen their resolve to pursue a life of greater purpose and inner virtue. Our spiritual aspirations are strengthened through a sense of community with people of like-mind. In the same way, bracing a newly planted tree allows the trunk to grow stronger, so it can withstand the winds and weather until it can stand on its own; Doing spiritual practice with a group strengthens your inner spirit so that it is easier to keep a divine focus in daily life. There have also been numbers of studies that have proven that people practicing meditation and other spiritual work can raise the vibration of the area in which they are located. The power of group mind was also demonstrated at times like the 9/11 attacks when the world was focused in the same direction. In these challenging times, it has become more important to work as a group to create more peace and harmony within us. In modern times, people have difficulty leaving their busy lives so they can have the benefit of spiritual community. For that reason, since the beginning of 2017, I have been creating opportunities to do a spiritual practice in a group that is dedicated to a specific purpose for 11 days every quarter. My guru called it an Anusthan and it has been a powerful spiritual catalyst in my life for 40 years. Spiritual practice opens the way for an inner awakening of divinity within your life. Simple tools when practiced in a group of focused energy can be a powerful catalyst for change. I am inviting you to join our group 11-day Anusthan to celebrate the Equinox. We are using the powerful energy of Balance in Nature to be an anchor for our spiritual practice.